The scorching weather of summer is here. I can’t stand the heat of the stove that as much as possible I want to cook as quick as I can. However, when hunger strikes I have no choice but to cook a quick and easy snack. And what’s quicker than some butter fried bananas? This recipe is so easy and yet so tasty. All you need to do is fry some bananas. It’s not just any banana. It has to be the plantain variety. What makes it more tastier is frying the bananas in butter rather than in vegetable oil. If you are like me, you will realize that this is best when dipped in brown sugar. But brown sugar is best when a simple dose of cinnamon powder is added. Brown sugar plus cinnamon is really the best. I love cinnamon and even made Sugar Cinnamon Rolled Jackfruit Donut before. I just can’t get enough of its flavor. 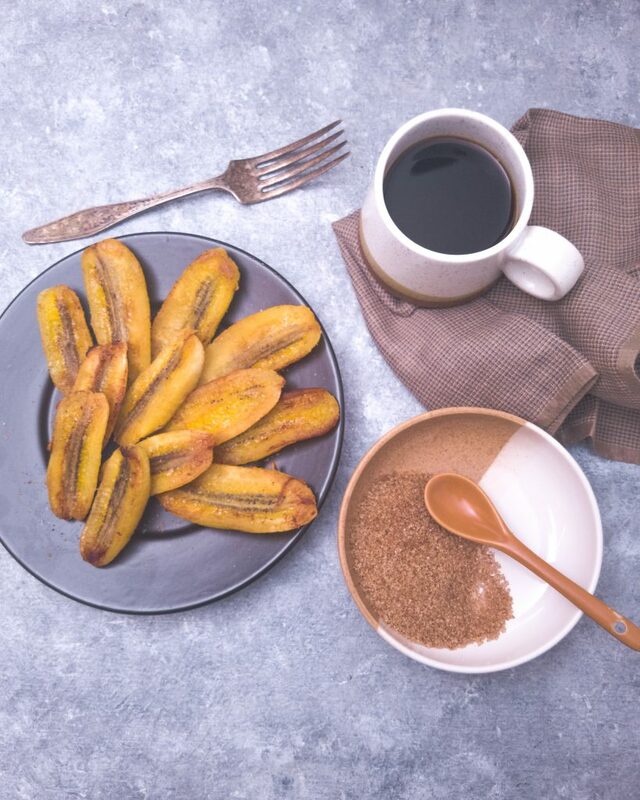 This butter fried bananas recipe needs four simple ingredients namely: brown sugar, cinnamon powder, butter and some plantains. You can roll or sprinkle the cinnamon sugar or place it separately in a bowl just like I did. If someone does not like sweets he can simply eat the butter fried bananas as is. This is great for breakfast or afternoon snack and with a cup of hot coffee. Combine brown sugar and cinnamon then set aside. Add butter into a non-stick pan and heat. Fry the banana on both sides until golden brown. Roll or sprinkle the fried banana with the cinnamon sugar. 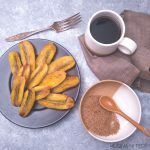 Simply fry the plantain in butter and roll it in cinnamon sugar. Perfect with a hot cup of coffee.